OUTSTANDING OPPORTUNITY IN THE FARM! Beautifully updated & maintained, with 4 bedrooms, 4 baths, main floor study & finished basement, this home is exceptional! 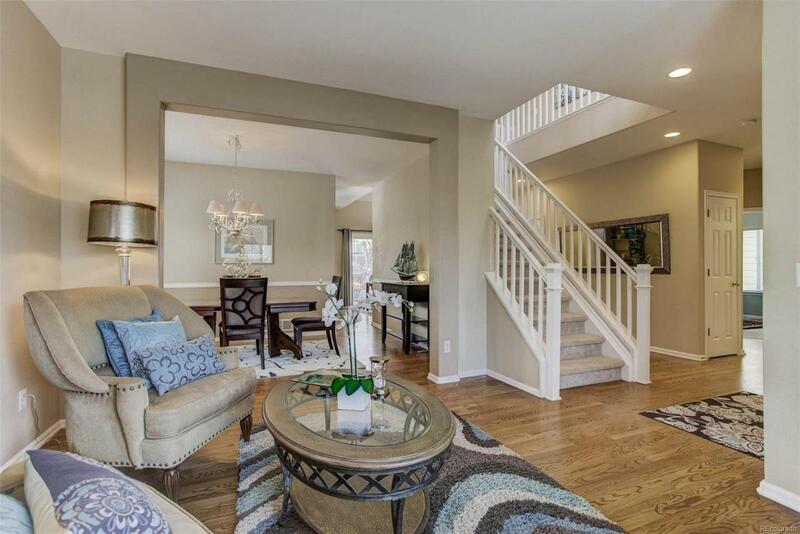 You'll appreciate the extended hardwood floors, the bay windows at the living & dining rooms & the open layout. The fabulous kitchen features stainless appliances, gas range, new refrigerator & dishwasher, wine refrig, slab granite counters & center island. Enjoy entertaining in the vaulted family room with built-in shelves & cabinets surrounding the fireplace, full wall of windows & back yard views. The WOW finished basement includes a family room/ media area, fireplace, bar with sink & refrig, bath & 2 bonus rooms (easy to convert to an additional bedroom). Ready to relax? You'll love the vaulted master retreat with bay window, 5-piece bath with heated tile floors & the closet system. Generously sized rooms, newer paint & carpet, spacious back deck & more! Top ranked Cherry Creek schools! Schedule a tour today!